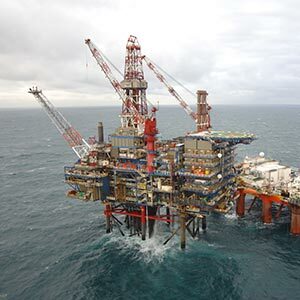 Royal Dutch Shell has confirmed that it will sell three North Sea assets as part of a £9Bn divestment strategy but insists that it remains committed to North Sea development. Shell has announced that it will sell Anasuria, a manned floating production, storage and offloading (FPSO) installation handling production from the four subsea fields Teal, Teal South, Guillemot A and Cook. It will also sell the Nelson platform which includes tiebacks to the Howe and Bardolino fields exporting oil to the Forties pipeline system and gas to the Fulmar pipeline which links to the St Fergus gas plant near Peterhead. The other asset for sale is the bridge linked platform called Sean, exporting gas to the Bacton gas terminal in Norfolk. Shell’s move heightens worries for the future of the North Sea as investment by oil majors is cut, although this is being partly offset by smaller independents prepared to invest in further developing mature assets and others previously regarded as technically too challenging. Shell had warned about capital expenditure cuts and asset sales when it announced its 2013 results in January, which included a profit warning. In a press statement Shell insists that the UK remains an important business area for the company. Shell says it is focussing and strengthening its portfolio with ‘many exciting projects’ under way in the North Sea such as new wells being drilled at Shearwater, investment in extending the life of the Gannet development and investments in the Schiehallion and Clair developments, which Shell does not itself operate.